The Carlo & Co. charity cup golf day is rapidly approaching us. After another fantastic day last year (other than the result, again!) we're really looking forward to this years event with added extras! The date – Friday 14th July 2017. The venue remains the same at the beautiful Old Fold Manor in Barnet. 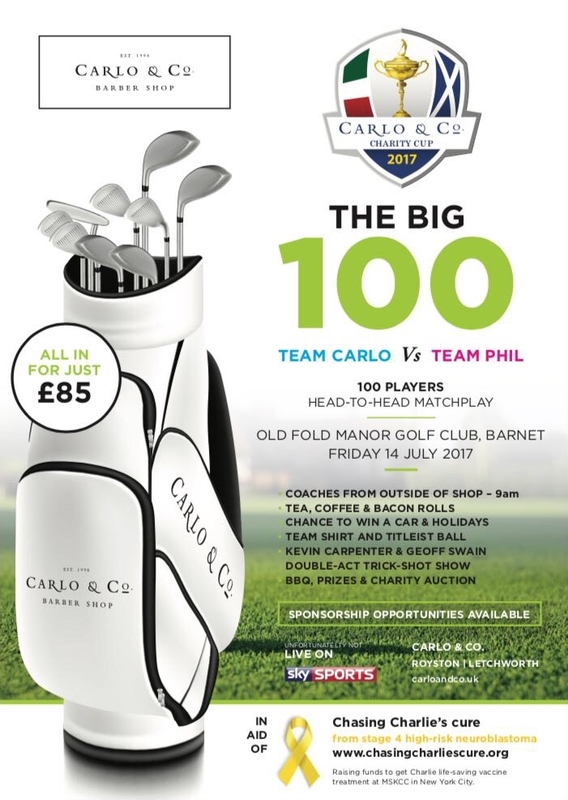 The format will be the same with 100 golfers in two teams, Team Carlo v Team Phil in a head-to-head match play. The charity we will be supporting this year is Chasing Charlie's Cure. 1 year old Charlie Shirran, who is one of my best friend’s nephew, was tragically diagnosed at the age of just 9 months with stage 4 high risk neuroblastoma. This is a very rare and aggressive childhood cancer, where the primary tumour was on his kidney and the size of an apple. The cancer had also spread to his bones. 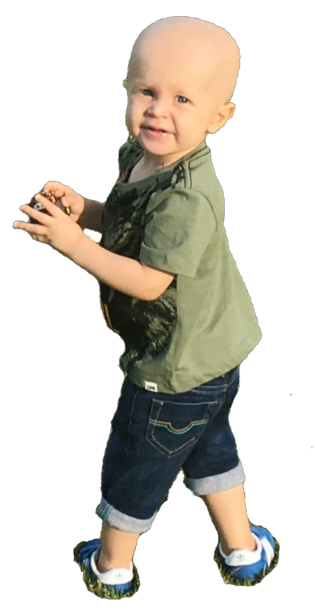 We are fundraising to get Charlie to the Memorial Sloan Kettering Hospital in New York where he will receive a vaccine aimed to prevent relapse of this dreadful disease and hold him in remission. you can still donate now. Any contribution will be greatly appreciated. We will have two team coaches to transport you there and back from outside the Royston shop. You'll be provided with a team golf shirt for you to keep and a Carlo & Co. Titleist golf ball for you to hopefully not lose. Bacon rolls, teas and coffees to fuel up before we start followed by a barbecue on the patio after the golf. We've got holidays and a car to win, so hone in that swing and let's have a winner this year! If you didn't make it last year then you missed a great show. The skills of Kevin Carpenter amazed us all and his wit had us rolling with laughter. We're delighted to announce that he's back this year bringing his double-act partner Geoff Swain along, so we're looking forward to something special. Check out last years highlights. so bring loads of cash with you to help little Charlie. Places will go within days so the only way to secure your spot is to email us with your details ASAP. It will be a strictly first come first served event so to avoid disappointment, get in quickly! ALL THIS FOR JUST £85.00! remember it all goes towards helping reach the target for Charlie. There will be 100 shirts printed with your company name or logo for all to admire! Get your name/logo on a background banner that each 4-ball will have a photo in front of. a score page to fill in, so a great opportunity to get in front of some prospective customers! anything you can for our auction and we will promote yourself or your business. A prize or services (if you can) to help us raise money in our charity auction. and I'm sure we'll make it another day to remember.